Although now in her nineties, Sister Marie John Kelley still has that Irish twinkle in her eyes which light up when she greets anyone. 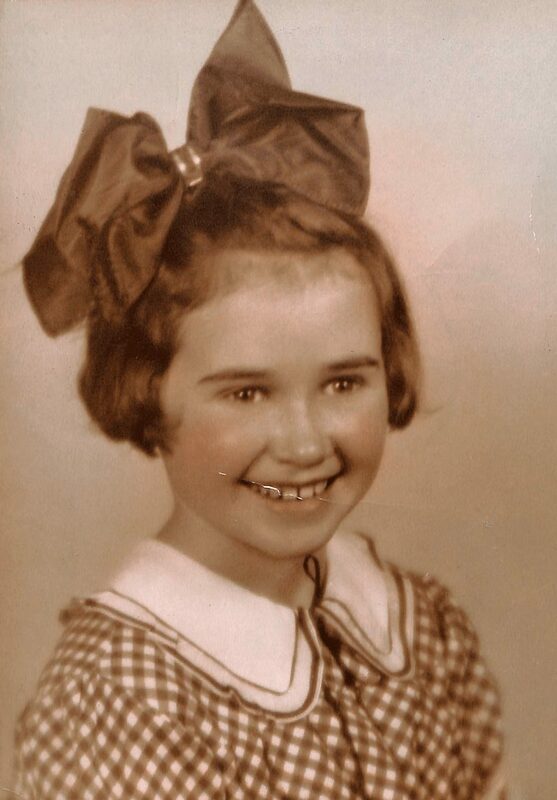 The youngest of eleven children Theresa Kelley was born on April 8, 1927, in South Boston, Massachusetts. The family suffered the grief of losing four children in early childhood. Only seven grew to maturity with quite a difference in age among them. Barbara, the oldest of these, was 21 years older than young Theresa. Both of her parents were from Galway, Ireland. Theresa’s father, John Kelley was born in 1878 in Spiddal, a small village on the shore of Galway Bay in the Connemara region. John’s family suffered hard times with the mother dying at a very young age. John received very little formal education as he was needed to cook and take care of the younger children. Theresa’s mother, Margaret Connolly, was also born in Galway and was said to be a beauty. The family lived on the West Coast of Galway. 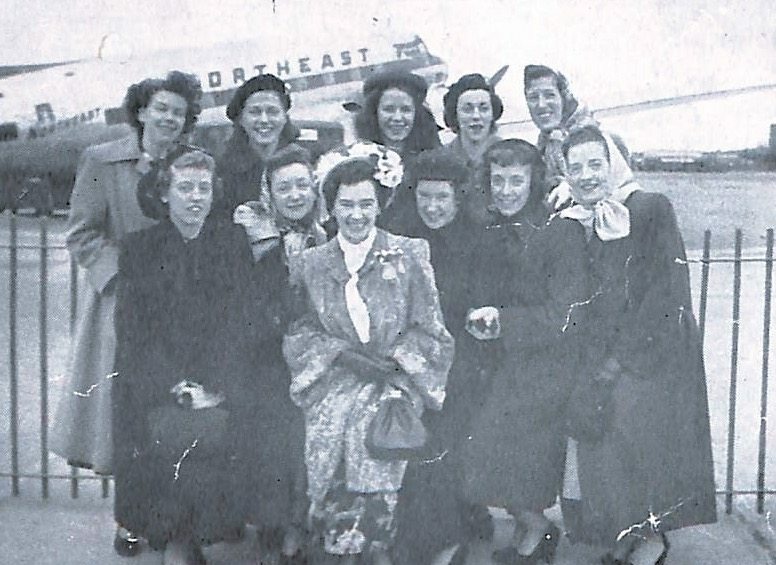 After immigrating to the United States the family settled in Boston. As a young girl, Margaret worked in homes caring for children. 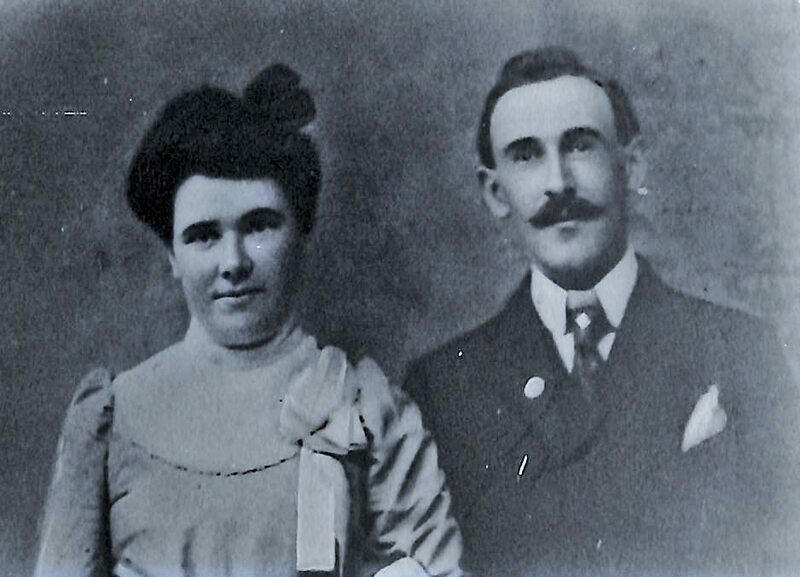 John and Margaret met and married in the United States and settled in Massachusetts where their eleven children were born. At the time of Theresa’s birth in 1927, the family was living in a family-owned triple-decker house in South Boston. The Atlantic Ocean was the playground for the children as their home was just one block from Pleasure Beach where they enjoyed swimming and beach activities. When they were feeling more adventurous they could walk across the bridge to Castle Island and play around the old fort. Summers were spent in a summer home away from the city as Theresa’s Mother did not want the children to be playing in the streets. Sister Marie John and her siblings. Theresa’s mother believed that it was important for her children to know that they were loved. Every night she would kiss each child and say in Gaelic, “God bless you, darling.” She was very kind and never strict. When any of them misbehaved she would simply say “I am disappointed.” She would often say to her sons, “I hope you will be half the man your father is.” They often joked that they would all be midgets as their father was not a tall man. 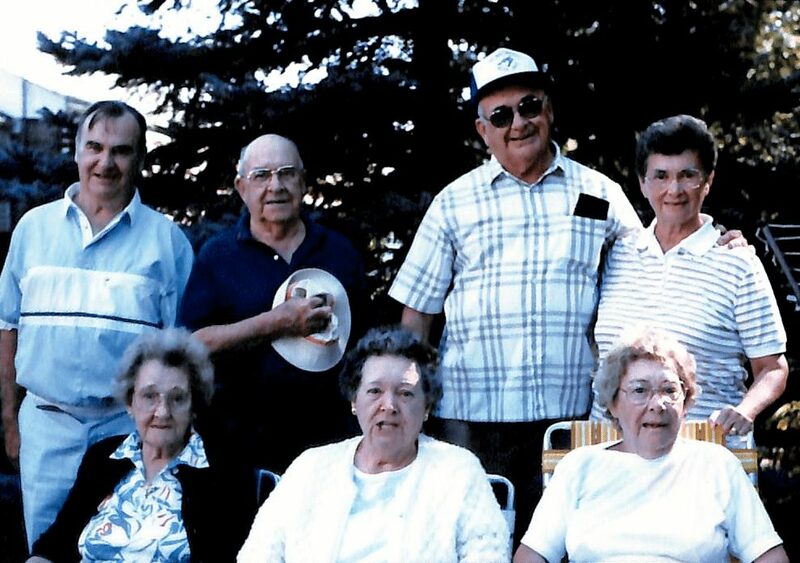 Mrs. Kelley always cooked and baked extra food and was very generous in sharing it with her neighbors. Theresa was often charged with the task of delivering food to a family where someone was sick or out of work. When her mother died in 1944 during World War II, none of her three brothers could come to the funeral. One was fighting in Europe and the other two were in the South Pacific. To have them so far away was heartbreaking for the family. Theresa attended Nazareth School (later called St. Bridgid School) in South Boston and graduated from Nazareth High School in 1945. After high school, she completed secretarial school then was employed by the government at the Army base where she worked as an office clerk typing and filing documents. She enjoyed her work there and made many good friends. She commuted each day by bus. She enjoyed dating young men but knew that was not enough. “I wanted to do something with my life,” she said. When Theresa told her family she decided to enter the convent her brother James asked why she would want to do that when she had a good job. It was hard for her to explain to him that she was drawn to Christ and wanted to dedicate her life to him. On January 19, 1949, Theresa entered the novitiate of the Sisters of Charity of Nazareth where she was trained as a postulant in the ways of prayer, study and work. At the end of the six months postulancy, she received the habit on July 19th taking the name of Sister Marie John, chosen in honor of her father and a friend who died at the age of nineteen. The novitiate years were filled with study of the spiritual life, the Constitutions of the Sisters of Charity of Nazareth and college courses. As a novice, she was also assigned duties to help out with the cleaning and serving meals to the college students. After two years of novitiate Sister Marie John was accepted for vows and made her first profession on July 19, 1951. She spent her summers studying at Catherine Spalding College in Louisville where she received her degree in Education in 1968. Her first mission was in Columbus, Ohio where she taught school at Our Lady of Victory parish. She loved her three years there teaching third and fourth-grade students. The next thin letter sent Sister Marie John to Memphis where she had her first introduction to the mid-South and her Boston accent met the resonance of a southern accent. She was assigned to assist the principal, Sister Sheila Ann Madden, in opening the new school at Holy Rosary. Since there was no convent in the new parish, the sisters commuted each day from nearby St. Anne Convent. Sister Marie John was asked to teach the first graders for a year until a lay teacher could be found. Each evening Sister delighted the other Sisters with funny stories from her first graders, an example was the little boy who was told repeatedly to take his seat. The child replied, “But Sister, you are standing on my shoelaces.” For the following three years she taught the sixth grade. Sister was called back to Massachusetts in 1958 where she spent the next five years teaching fifth-grade students at Immaculate Conception School in Newburyport. In August of 1963 Sister Marie John was transferred to Maryland where she taught seventh and eighth grades for three years at St. Peter School in Waldorf. It was here that she lived with Sister Anna Zita Farnham who was very special to her. Returning to Massachusetts Sister Marie John was appointed Superior and principal at St. Edward School in Brockton. She was there for four years as principal, but after 1969 she was no longer Superior as she had completed her term of three years and the Sisters of Charity of Nazareth discontinued the appointment of Superiors and moved to local community decision making. Sister Catherine Michael Robishaw (now Sister Joan) came to St. Edward’s in 1968. She was assigned to a second grade class of students who were lacking in basic first-grade skills. Sister Marie John came to her classroom every afternoon and asked how she was doing. Even though the response was always, “Fine!” Sister Marie John knew it was not fine and gently offered encouragement and suggestions. The two became lifelong friends. One example of her kindness is illustrated in this story of the young child who would steal lunches which other children brought to school. When Sister Marie John learned that this child never had a lunch from home she gave him half of her sandwich. Each day after that she prepared a lunch for him along with her own lunch. The father of the boy came to talk with Sister relating that the boy’s mother was an alcoholic. Sister recommended Alcoholics Anonymous and suggested that the father attend with her. After that visit, the little boy always waved at Sister Marie John, his special friend. The next six years were spent at St. Brigid Convent in South Boston where she taught in the school, her alma mater. Her Saturdays and summers were spent at Boston University studying for her master’s degree in education with a concentration in social studies. She found that her teaching methods changed through this experience. At the time of her departure from Newburyport Sister was proclaimed a “permanent honorary citizen” and presented with a municipal citation signed by the mayor. A Mass was celebrated in her honor offered in thanksgiving from the children and their parents. During her time at Our Lady of Nazareth Academy (OLN) in Wakefield, Massachusetts Sister was in charge of the school library while studying part time at Boston University where she earned the Certificate of Advanced Graduate Studies (CAGS) in 1985. She became a certified Library Media Specialist. The library at OLN was a peaceful place where the students liked to be as they found Sister Marie John to be very friendly and helpful. She took a special interest in any girls with problems and was a good influence on them. One of the students was using drugs and did not come to school regularly. The principal was in distress about the girl. Sister Marie John called the girl and told her to come to school right away and to come to the library to see her. The girl came and Sister was able to assist her in finding help. The wood frame library building sat atop a small hill. The lawn along the south side looked so stark that Sister was worried about potential erosion. She and Sister Joan Robishaw planted two small maple trees. One grew straight and tall but sadly did not survive. The other maple was crooked but still managed to grow to maturity. Sister Marie John treated it tenderly, watered it faithfully and protected it with a small wicker fence. The sturdy maple became a favorite spot for the students who enjoyed studying in its shade on a warm day. In September of 1996, Sister Marie John took some time off for a sabbatical. She spent four restful months in a renewal program for religious at St. Stephen Priory in Dover, Massachusetts. Sister treasured these days of spiritual programs and opportunities to form community with Sisters from many different congregations. During her time of renewal, Sister spent time photographing the beautiful scenery of the Priory grounds. She won first prize in the nature category for her photograph “Morning Mist.” These were days of peace for her. Following her sabbatical, Sister lived with Sister Joan Robishaw on Yale Avenue in Wakefield. Since she had retired from her library work, she created her own ministry where she lived in a building with five apartments. Sister made herself present to the other residents, most of whom were elderly. She listened to their stories and concerns and helped them as she could. Sister Marie John wore hearing aids and one child asked her what those things were behind her ears. Her quick response scared him into good behavior as she told him they were tiny cameras taking pictures of everything he did. After one year Sister left this school. In the short time Sister was there she made a difference in their young lives. She continued to live on Yale Avenue in Wakefield keeping her ministry among the elderly residents. During this time she and Sister Joan Robishaw volunteered once a month at a soup kitchen, My Brother’s Table, in Lynn, Massachusetts. This was an outreach of Saint Joseph Parish in Wakefield. Sister was still faithful to her true love, library ministry as she volunteered part time in the library at Our Lady of Nazareth Academy assisting with the books and helping the students when needed. Here she stayed until the school closed in 2009. She and Sister Joan were indispensable aids to Sister Theresa Knabel in the summer of 2009 in distributing all the furniture, equipment and contents to other schools in the area and to organizations working among those who were poor. The following year Sister Marie John moved to Kentucky where she resided at the Motherhouse in the Apostolate of Prayer. Her final days were spent at Nazareth Home where she died May 8, 2017. Her long life was a blessing to us all. One of the delights of Marie John’s life was winking as she teased her very good friend Joan. She was a woman with a wonderful sense of humor who so enjoyed giving life to others. Marie John you were a wonderful SCN in every way. Thank you. Quite a story, very interesting and inspiring. Marie John was certainly IRISH!! How wellI I remember the day Theresa entered the Novitiate with that jaunty hat and nice smile……and so many questions about the limiting life of a postulant. Her friendship was a blessing for me. A great woman! A great life! May you rest in peace, Marie John!